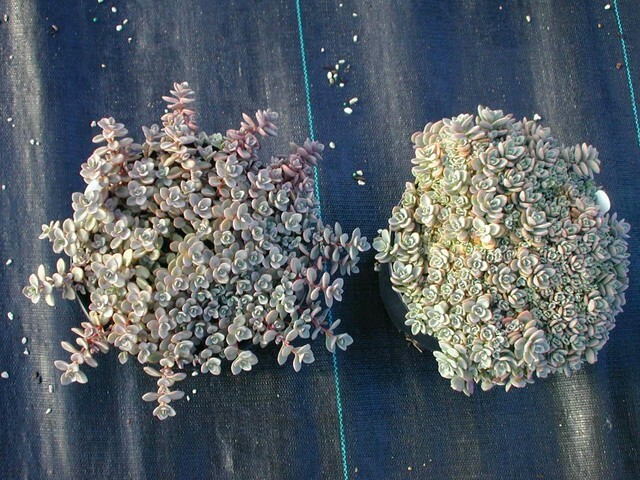 This is a comparison shot of the 2 forms of Sedum pluricaule ezawe that I grow. Glaucus purple-gray leaves tightly packed on half-inch long stems. Grows in a dense mound that becomes covered with pink flowers. Dies back to the ground in the fall and comes back from the roots late in the spring. Very cold hardy but requires good drainage.